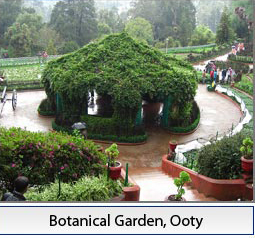 Ooty an Interesting Tourist spot of Tamilnadu. This place is also a place of visit in the summer season for its chill climate. Udagamandalam-Ooty in short is called as the “Queen of Hills”. It is located at the tri junction of Tamilnadu, kerala and Karnataka. It is at 7500 feet above the sea level and finds its location in the Nilgris (also called as Blue Mountain). Nilgris is a beautiful mountain range which is a part of Western Ghats. Totally there are three places to visit namely Kothagiri, Coonoor and Ooty. 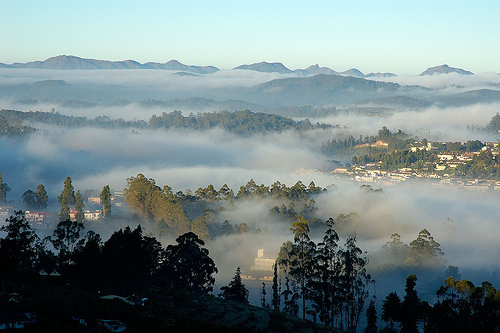 Among these three Ooty is given the primal importance because of its scenic Beauty and excellent climate conditions. Nilgris is oldest than the Great Himalayas. Like Icing on a cake ooty adds Pride to this mountain Range. 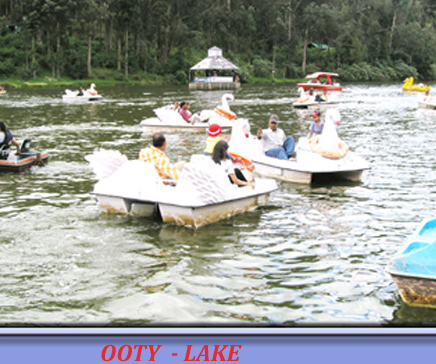 Ooty is always a best place to visit is the climate, Eventhough the season is believed to be from April to June. It was first discovered during the British rule, by the collector of coimbatore called john Sullivan in the year 1817. The name udagamandalam is derived from the word “ottakkalmandu” which means “A village of a single stone” in Tamil language. But, afterwards people used to call this place as ooty in short form. This Region was entirely under the control of tribals called “Todas”. But, fortunately no measures were taken by any ruler to seize this region and hence it remains in its original Nature yet. The Mountains are so high, such that we can see the clouds crossing the way when we Travel. Another important experience which every Traveler gets when they come here is the Dangerous, but thrilling Hair-pin Bends. Our mind would record an excellent scenic Beauty which is immortal when we Travel through this way. This place is definitely such a place where we can forget ourselves by loitering in lawns, fishing, playing Golf & tennis etc. Nature made udagamandalam is definitely a different place in this man made world of inventions.